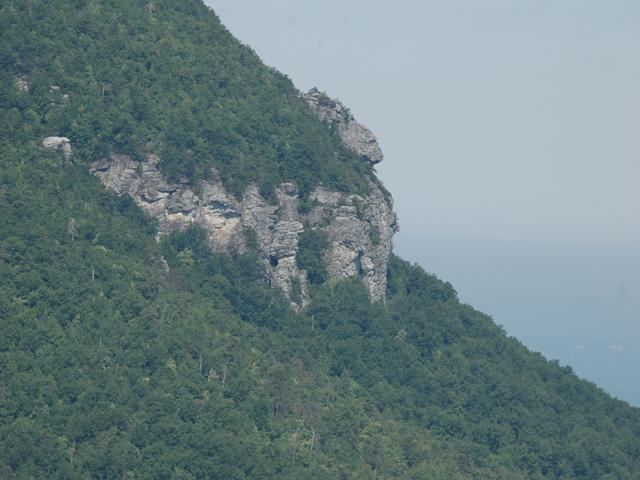 This is a view of the big knob as seen from the little knob. Welcome! 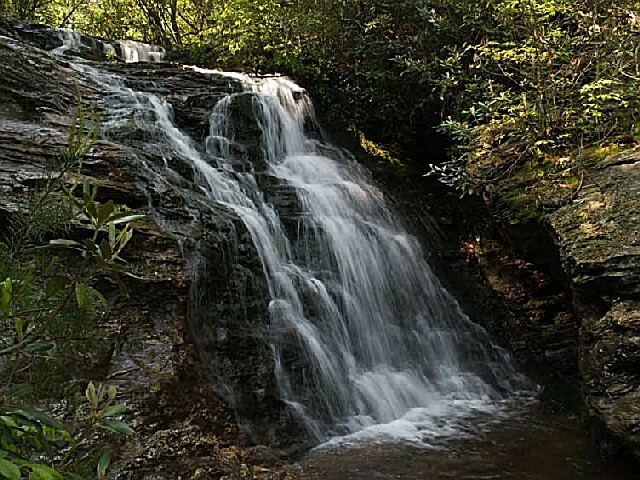 Not far from the cities of the Triad area, off the four-lane highways there's another North Carolina to be discovered?sheer cliffs and peaks of bare rock, quiet forests and cascading waterfalls, views of the piedmont plateau that stretch for miles. 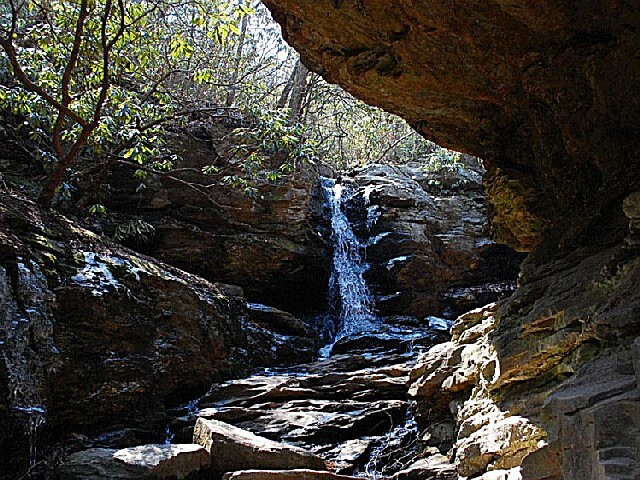 Hike the trails of Hanging Rock State Park and let nature put life's hectic pace in perspective. 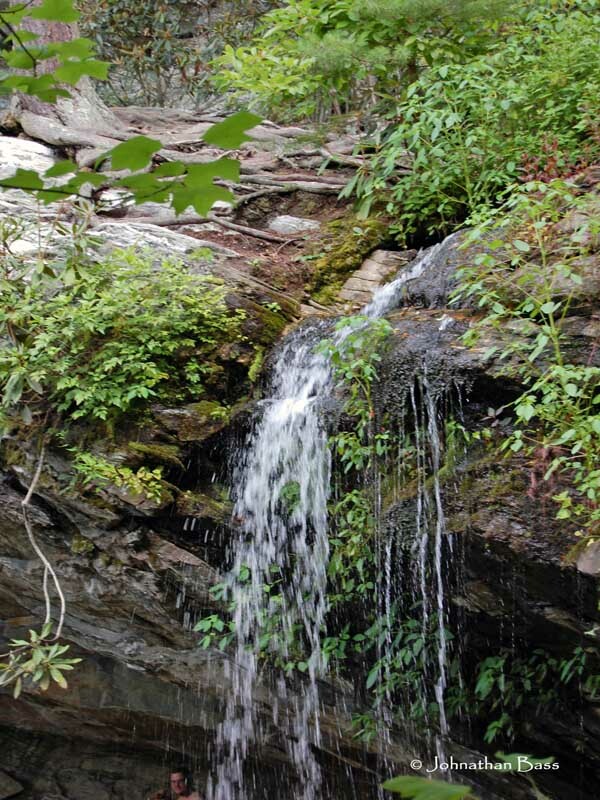 Rent a vacation cabin and fall asleep to the lullabies of spring peepers and chorus frogs. 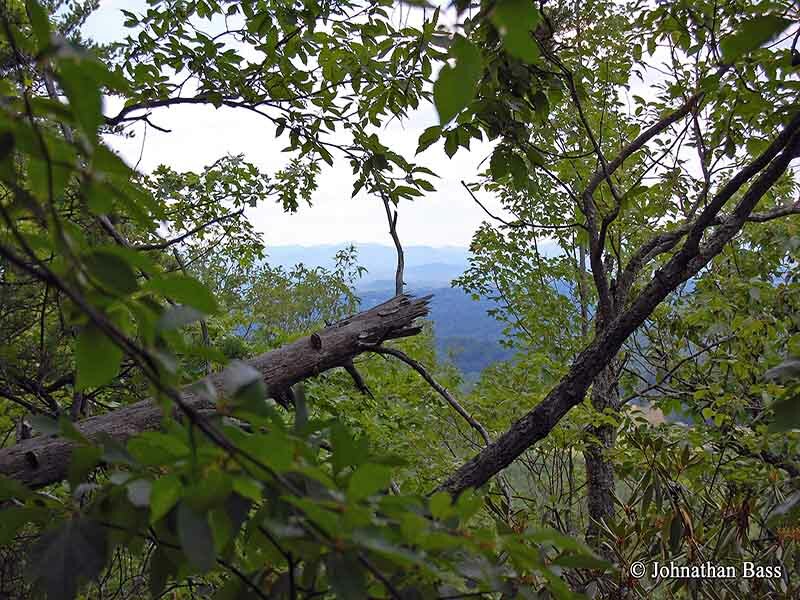 Join an interpretive program and discover something new about nature's bounty. Nestled in the hills is a cool mountain lake that beckons to swimmers and fishermen. Picnic areas and campgrounds lend themselves to time spent with family and friends. 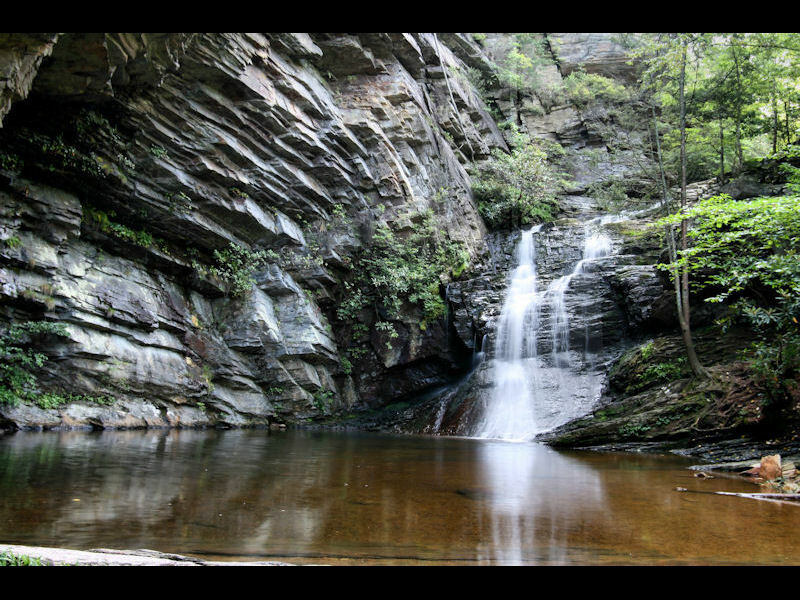 Hanging Rock State Park awaits you. 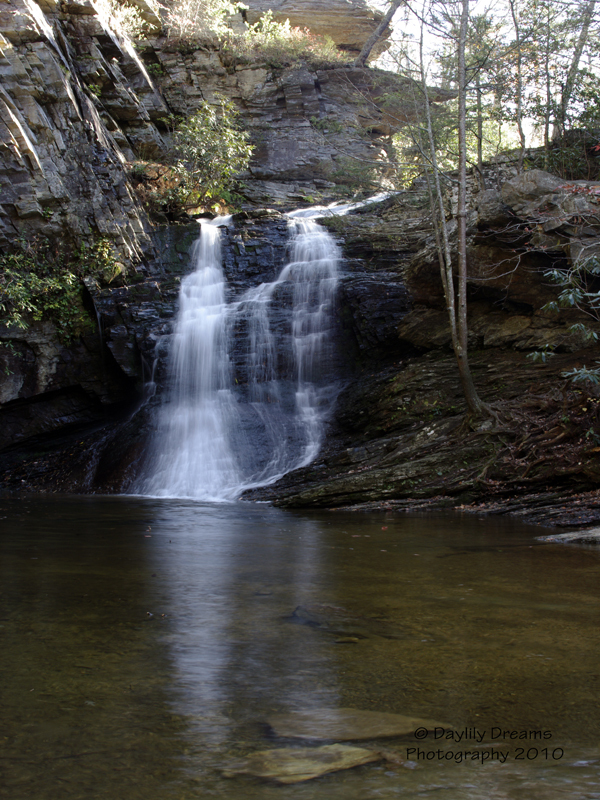 In 1936, the Stokes County Committee for Hanging Rock and the Winston-Salem Foundation donated 3,096 acres of land to the state of North Carolina for the purpose of establishing a state park. Additional land was added to the park as recently as 2000, bringing total acreage to 6,921. Group camping: Eight campsites located near the entry gate offer a wilderness camping experience for organized groups at a modest fee. Each site has picnic tables and a fire circle. Pit toilets and water are located nearby. Reservations are required. 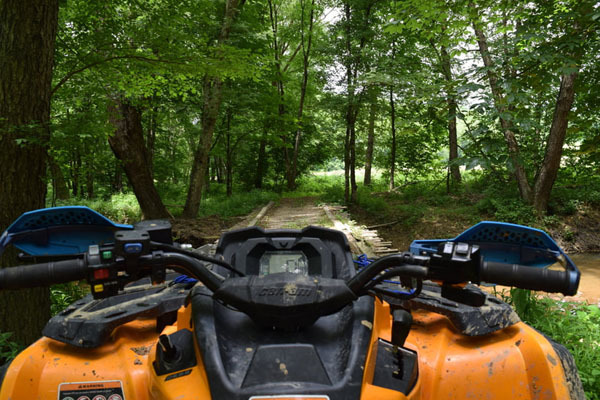 Vacation cabins: A short road from the family campground leads to six rustic family vacation cabins, each accommodating up to six people. One cabin is handicapped accessible. Each cabin includes two bedrooms, a kitchen and a living room. During the spring and fall, cabins may be rented by the night with a minimum of a two-night stay. Summer rentals are available by the week only. Reservations are required; an application must be completed and mailed to the park. Contact the park to check on cabin availability. 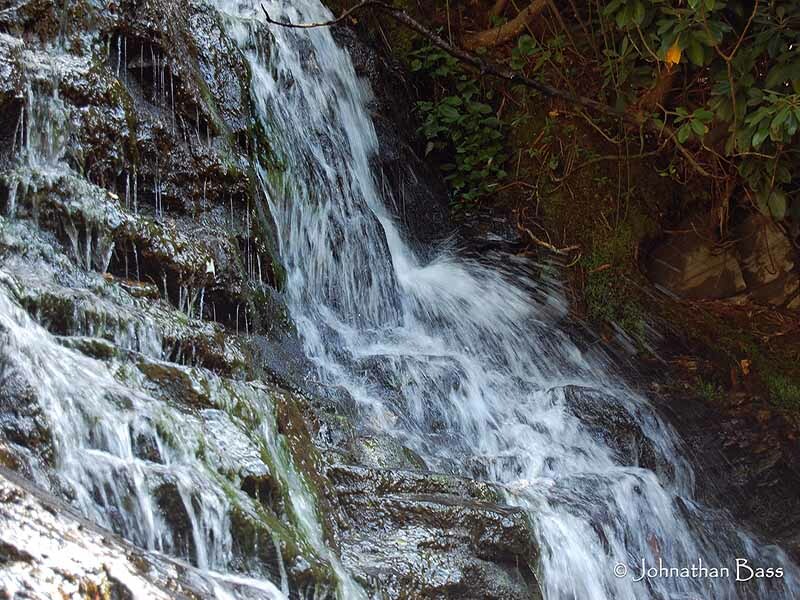 Tucked into the hills is an inviting 12-acre lake, formed by the damming of Cascade Creek. 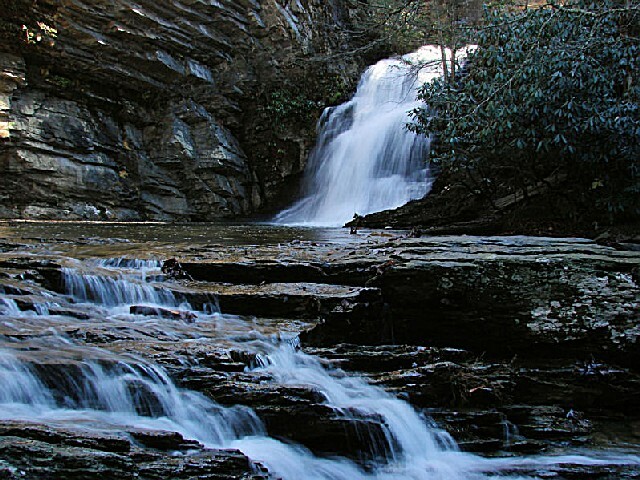 A popular center of activity at the park, the lake is a source of beauty as well as fun. 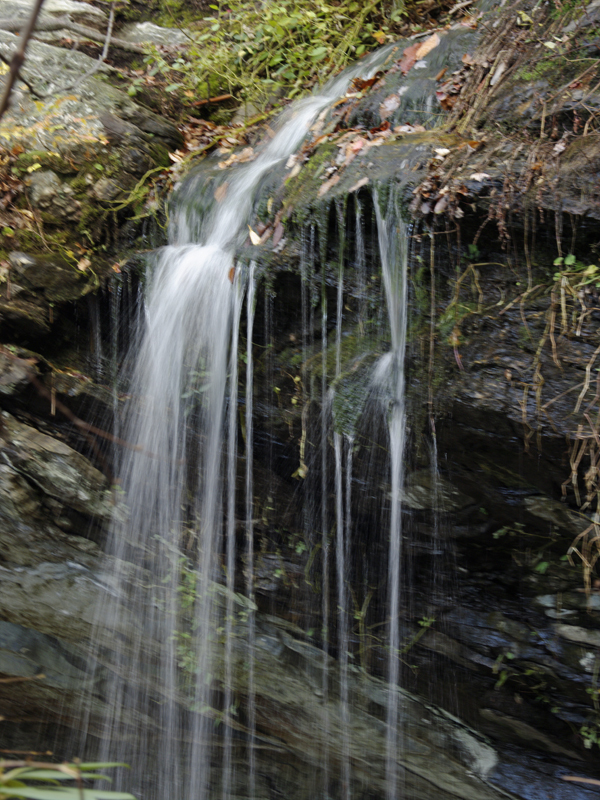 A hardwood forest extends to the shoreline from surrounding slopes, and paths along the lakeshore lead to the dam and offer views of the lake and surrounding woodlands. A stone and timber bathhouse includes restrooms, dressing rooms, a snack bar and a lounge area with a view of the lake and Moore's Knob. Swimming is allowed during the summer from 10 a.m. until 6 p.m. Contact the park for more information. Private boats are not permitted, but rowboats and canoes are available for rent during the summer. A state fishing license is required. Fish from the shore, a wheelchair-accessible pier or the middle of the lake. Bass and bream are plentiful. Two picnic areas offer 60 picnic sites and 15 grills each. 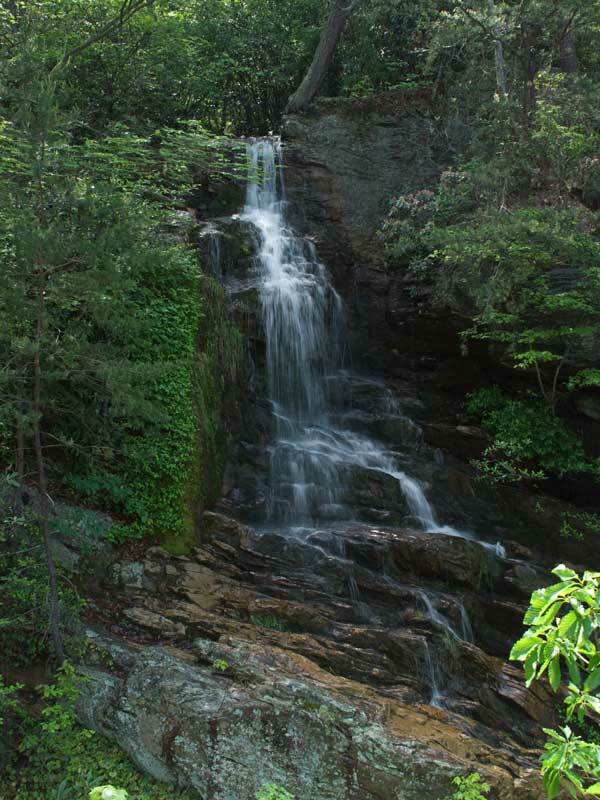 One area is near the trailheads for Window Falls and Indian Creek trails and is shaded by the large trees of the hardwood forest. The other picnic area is on a shaded, terraced hillside near the lake. Some of the picnic tables are wheelchair accessible. Drinking water and restrooms are located nearby. Shelters for group picnics are located in each picnic area. Each of the three shelters offers tables and a fireplace. The picnic shelters are available by reservation for a modest fee. If the shelters are not reserved, they are available on a first-come basis free of charge. For directions to a specific shelter, please stop by the visitor's center. 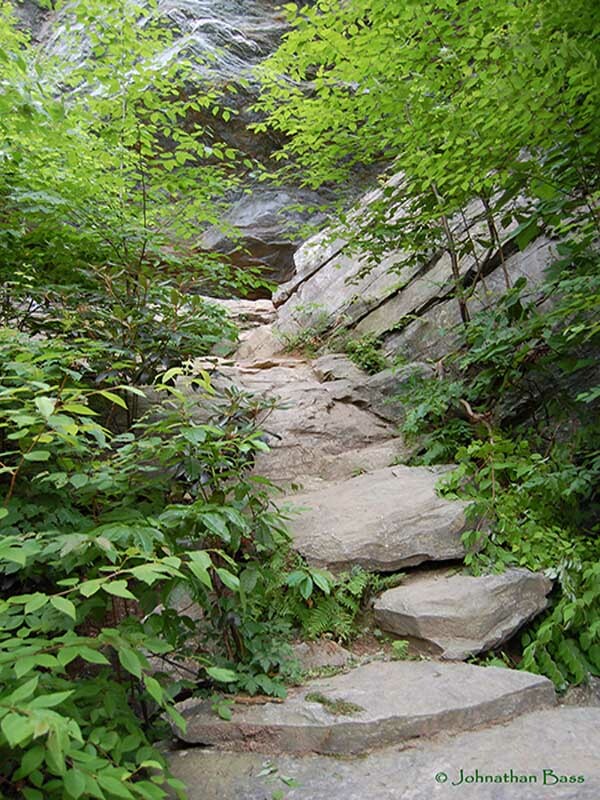 More than 18 miles of wooded passageways form a network of 12 trails at Hanging Rock State Park. 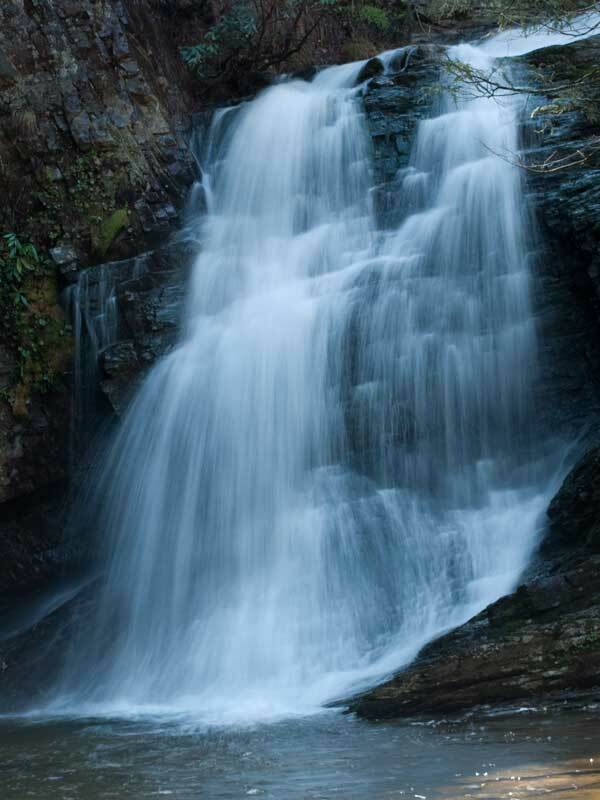 Picturesque cascades and waterfalls, high rock cliffs, spectacular views of the rolling Piedmont and Blue Ridge Mountains, and a mountain cave are just a few of the rewards of exploring by foot. 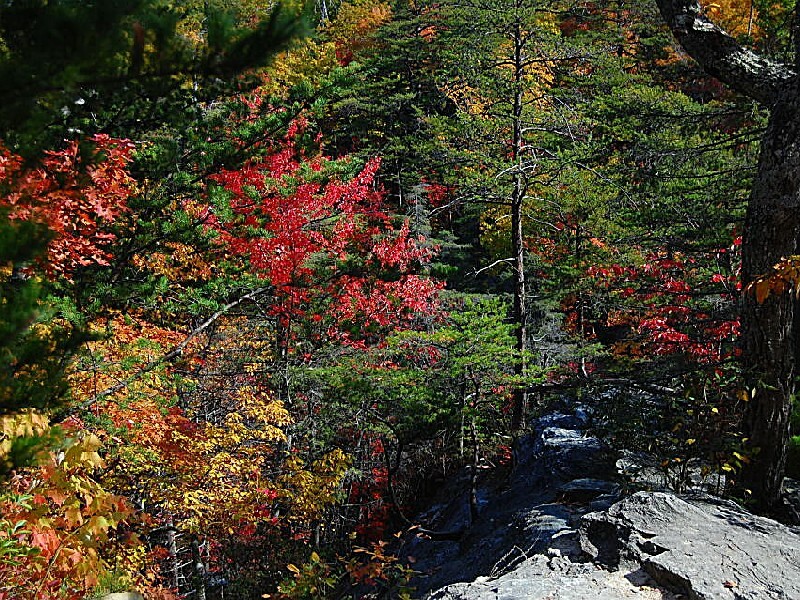 Persons with disabilities will enjoy a short wheelchair-accessible trail that leads to a rock outcrop. 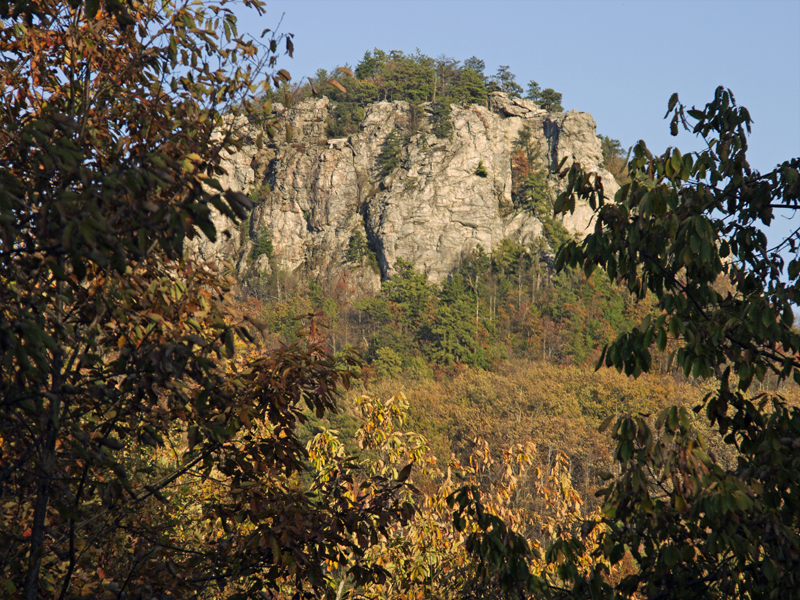 An accessible deck is located near the visitor's center for clear views of Hanging Rock. 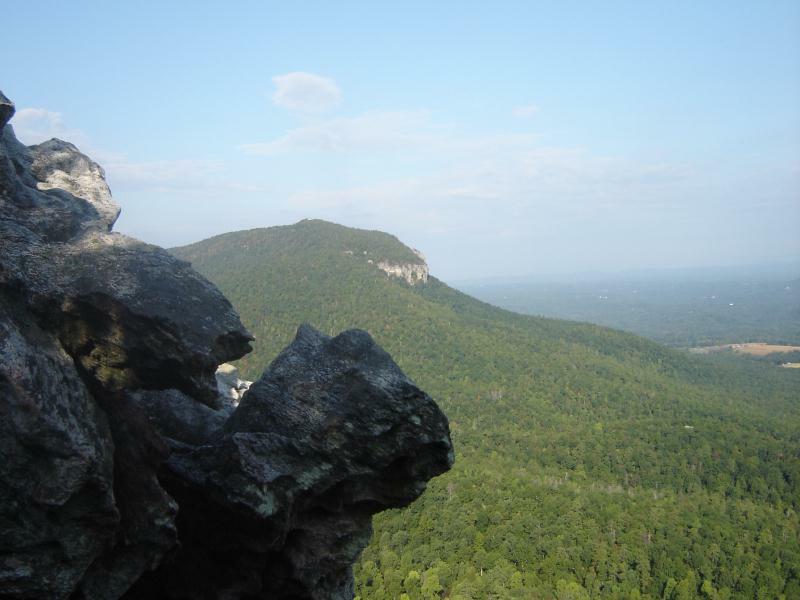 Rangers hold regularly scheduled educational and interpretive programs about Hanging Rock State Park. 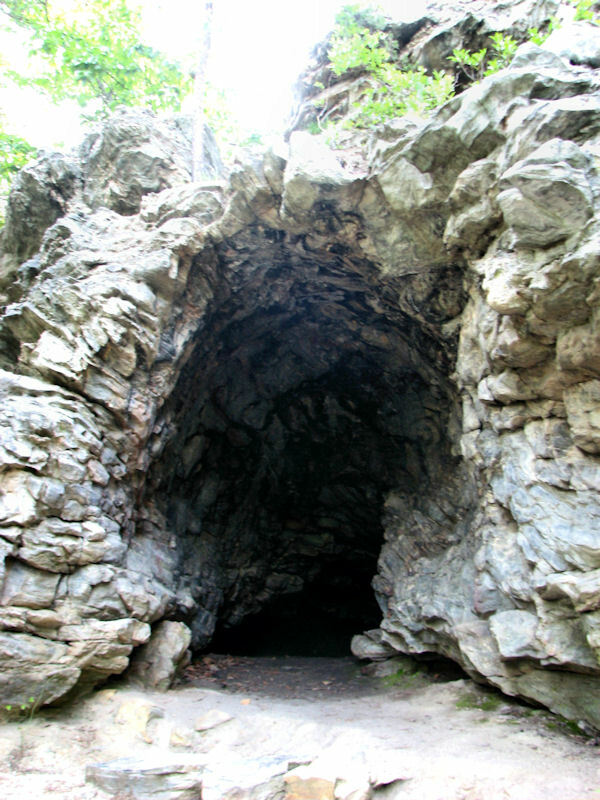 To arrange a special exploration of Hanging Rock State Park for your group or class, contact the park office. 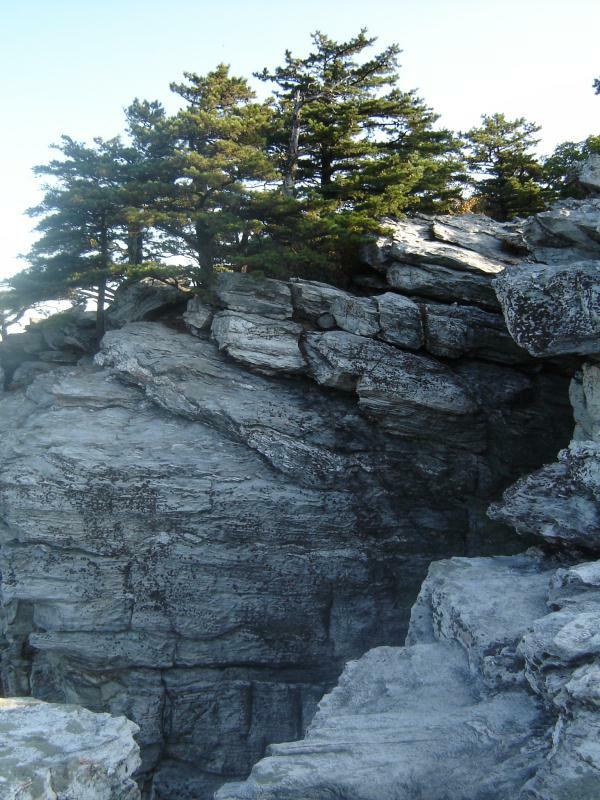 Educational materials about Hanging Rock State Park have been developed for grades 5-8 and are correlated to North Carolina's competency-based curriculum in science, social studies, mathematics and English/language arts. 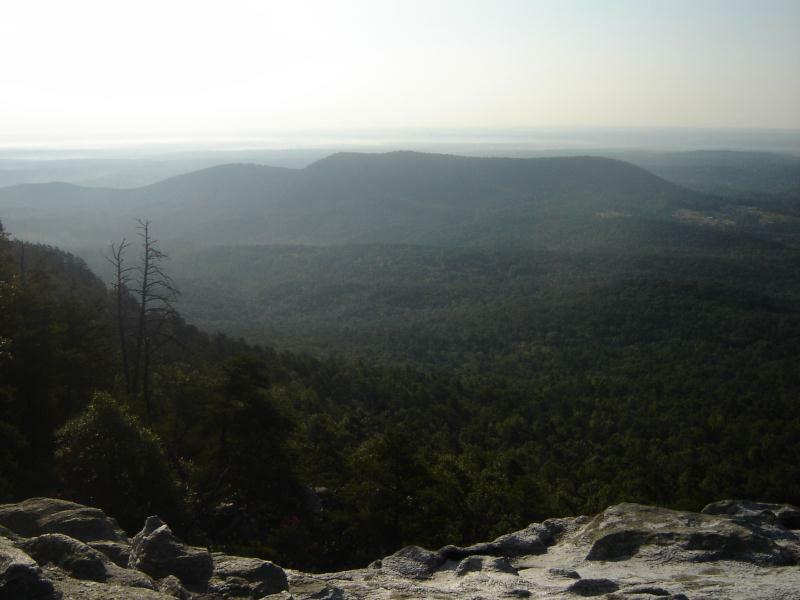 The Hanging Rock program introduces students to basic geologic concepts and relates the concepts to the Sauratown Mountain range. Accompanying the program is a teacher's booklet and workshop, free of charge to educators. 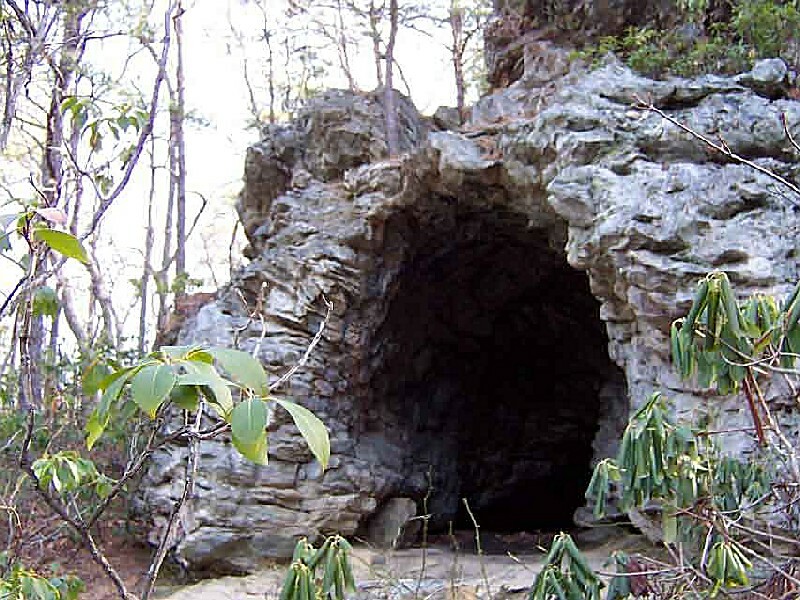 Exhibit hallThere's more to Hanging Rock than outdoor recreation! Stop by the park visitor's center to learn more about the natural and cultural history of the park. From hands-on exhibits about plants and animals to a video about the Civilian Conservation Corps, there's much to see, learn and do. A hall in the visitor's center offers a variety of interactive exhibits. Open panels of a dead tree to see what's inside. Or, watch a video about the people who formed the park. 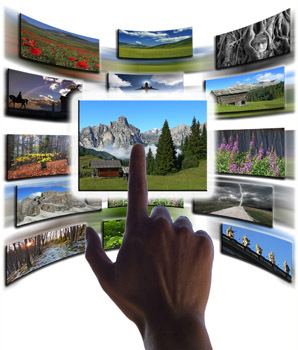 Learn about geology, bend a rock, or try to build a wall out of stone. 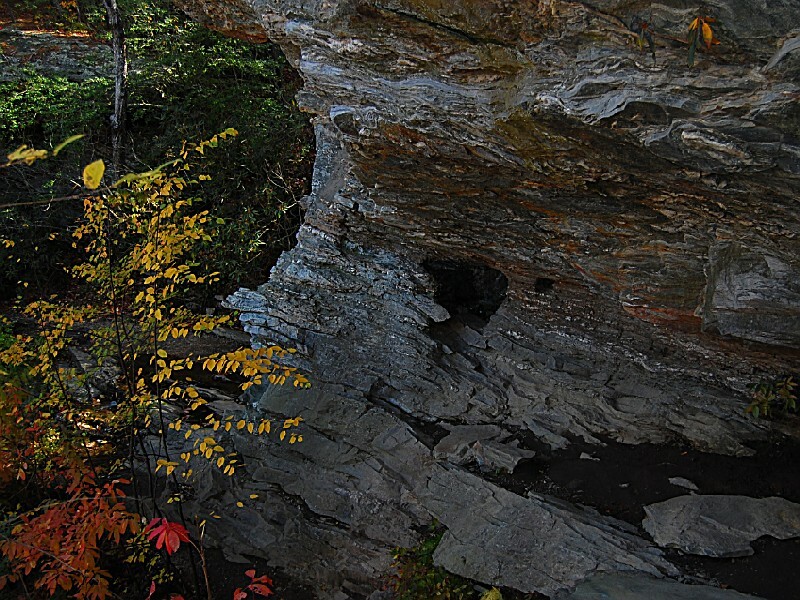 Enjoy dioramas of the plants and animals that live on rocky cliffs and near creeks. Rock climbingRock climbing is available in the park by permit. 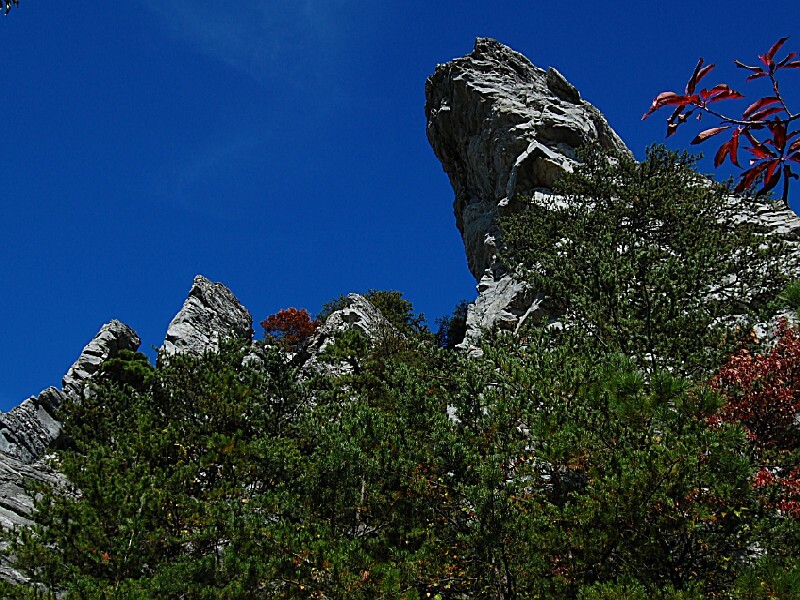 Cook's Wall and Moore's Wall, a series of cliffs up to 400 feet high and extending almost two miles, provide opportunities for seasoned climbers and novices alike. 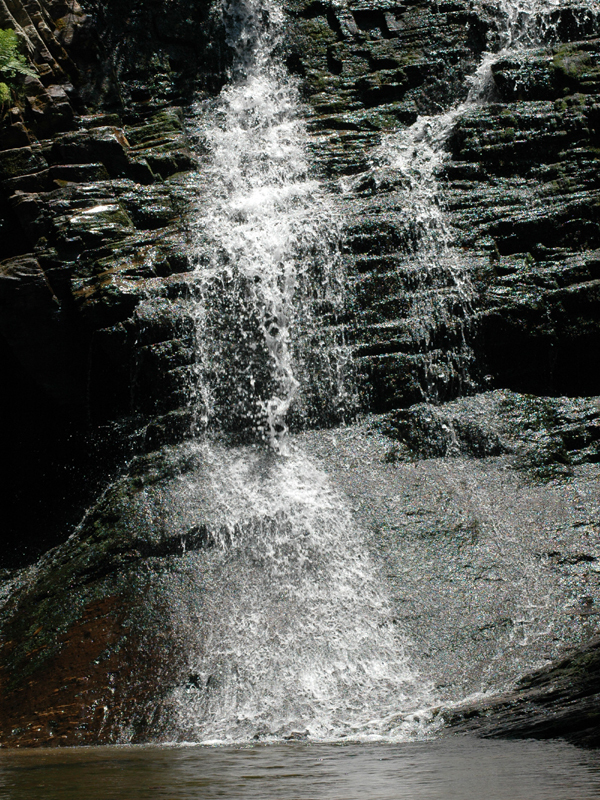 All other areas of the park are closed to climbing and rappelling. 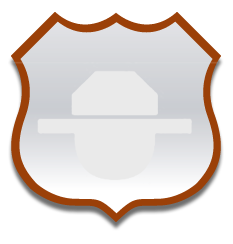 Participants are responsible for their own personal safety, including securing proper training and equipment, and adhering to safe practices. Basic rock climbing safety equipment and techniques must be used at all time. In the lobby of the visitor's center, learn more about the Saura Native Americans or check out the latest exhibit posted in the hallway display case. Whatever you do, make sure you allow yourself enough time to enjoy some outdoor recreation at the park, too! The exhibit hall is open from 9 a.m. until 5:45 p.m. daily during the summer months and is also open daily during other seasons. I spent last Wednesday at the park. Walking to the top of the summit and also down to some of the falls. The scenery is great but there are lots of snakes. We saw at least 15 during the day. 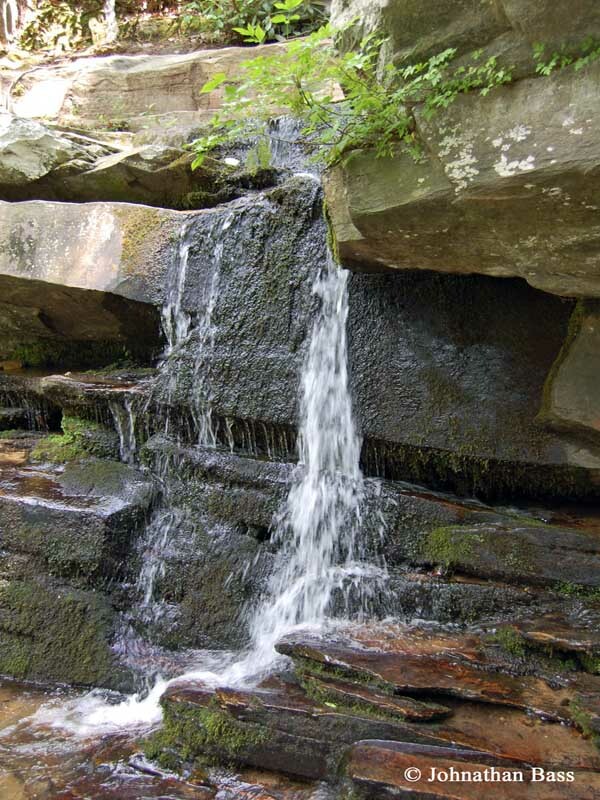 The rock steps are the best, the people that did all of the amazing rockwork should have a plaque in their honor. 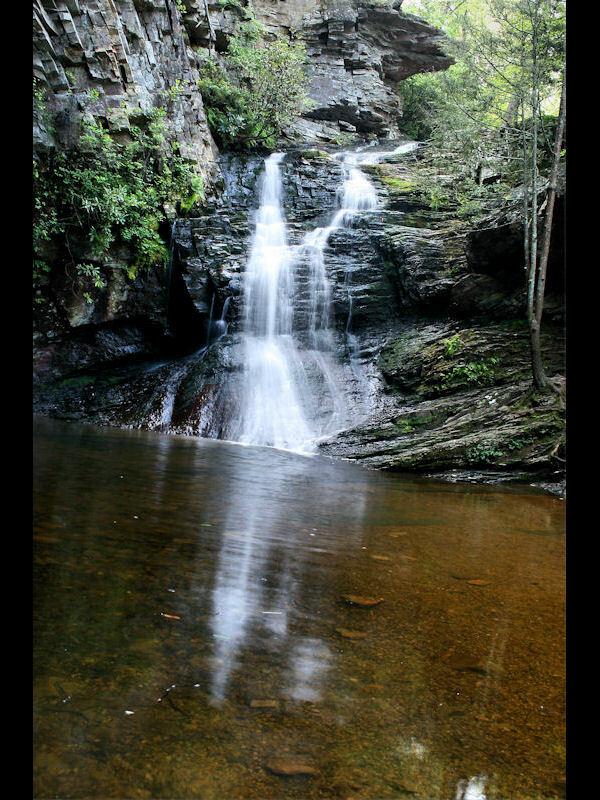 Great park but bring your good hiking boots.. Its quiet the climb to the top. 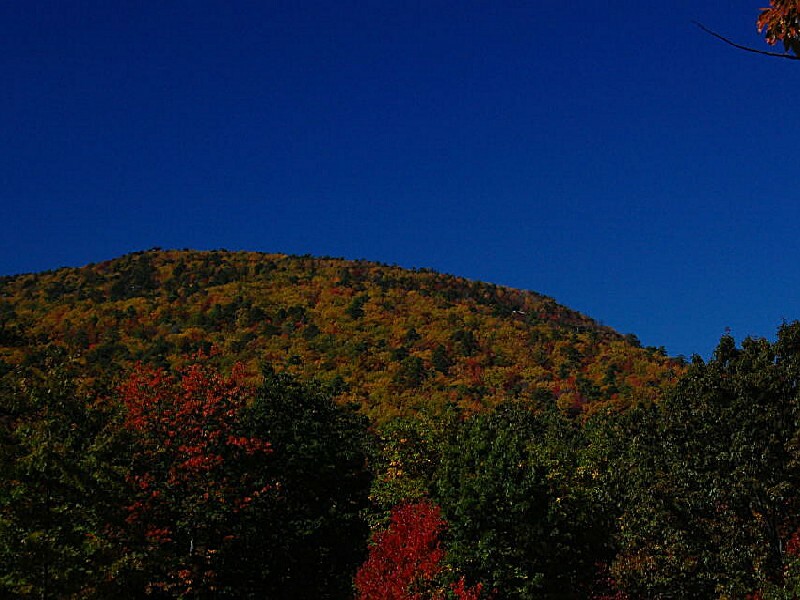 As a large family of children, grand-children and great-grand-children, using several campsites when we tent camp, this is what we compare the other state sites to. We enjoyed it so much that we are returning again this year. It is very relaxing and fun. 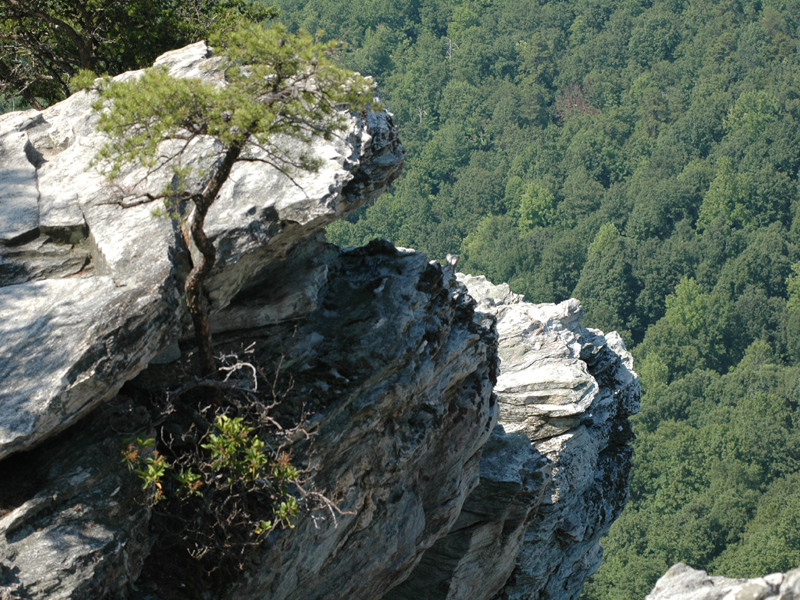 Hanging Rock State Park is located in Stokes County, four miles northwest of Danbury. From I-40, take US 52 north. Take the Germanton/NC 8 exit, and turn left, following NC 8 for 25 miles through Danbury. Two miles north of Danbury, turn left onto Hanging Rock Road/SR 2015. 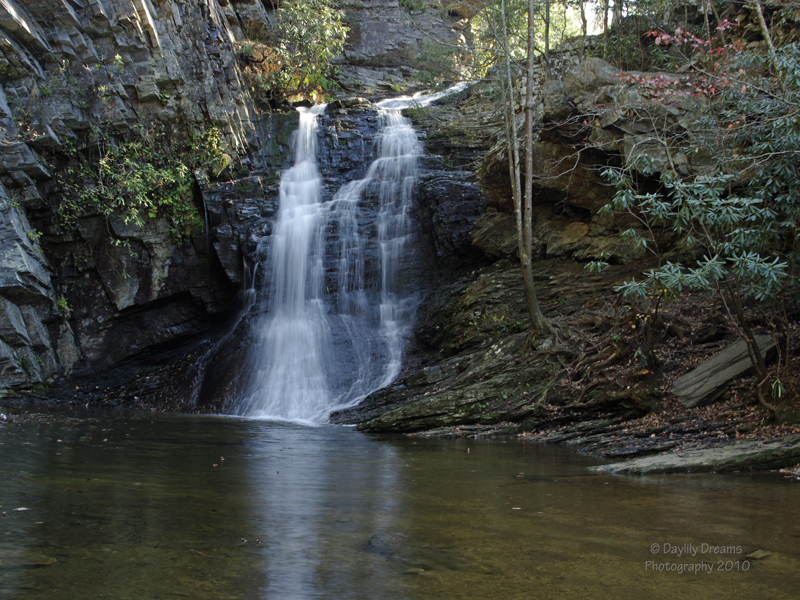 Drive two miles to the park entrance at the end of Hanging Rock Road.